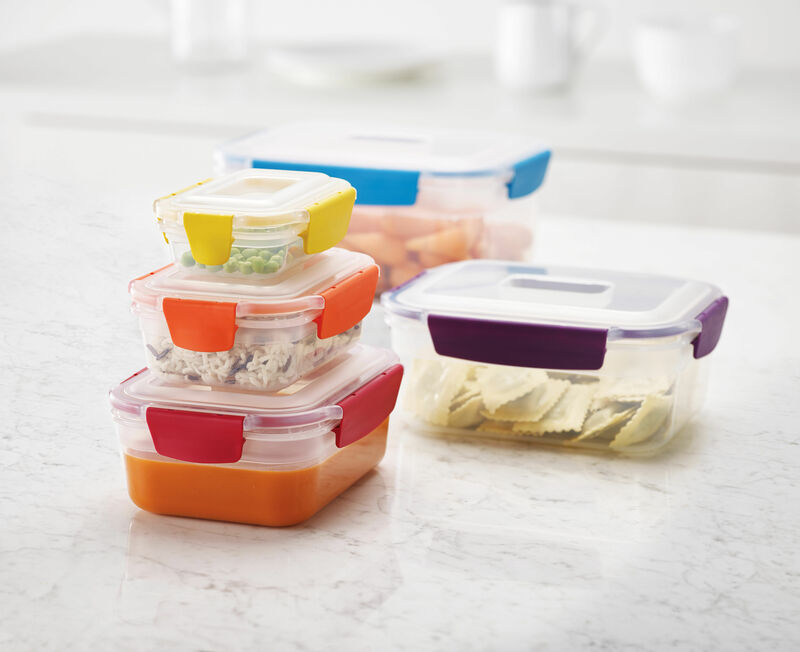 Put an end to the chaos which reigns in your cupboards! 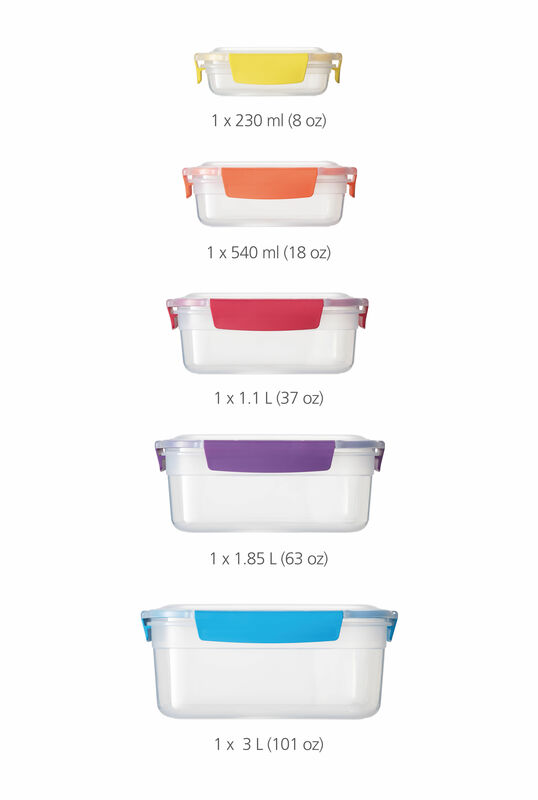 This set includes five air-tight boxes with clip-on lids, of different sizes (230 ml, 540 ml, 1 L, 1.85 L, 3 L). 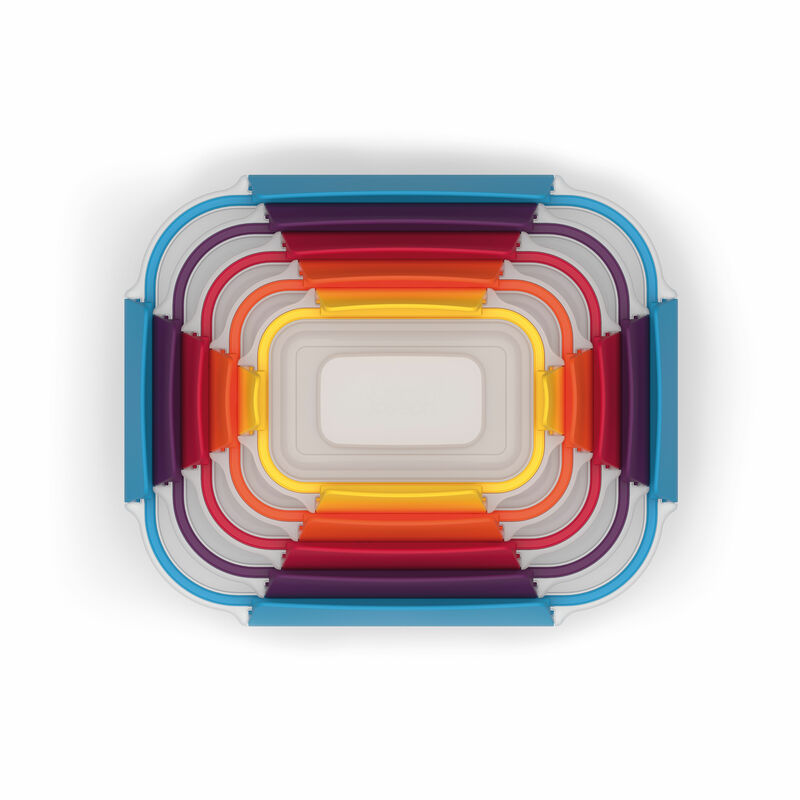 Stackable and slotting into one another, their "Russian doll" design lets you optimise space. 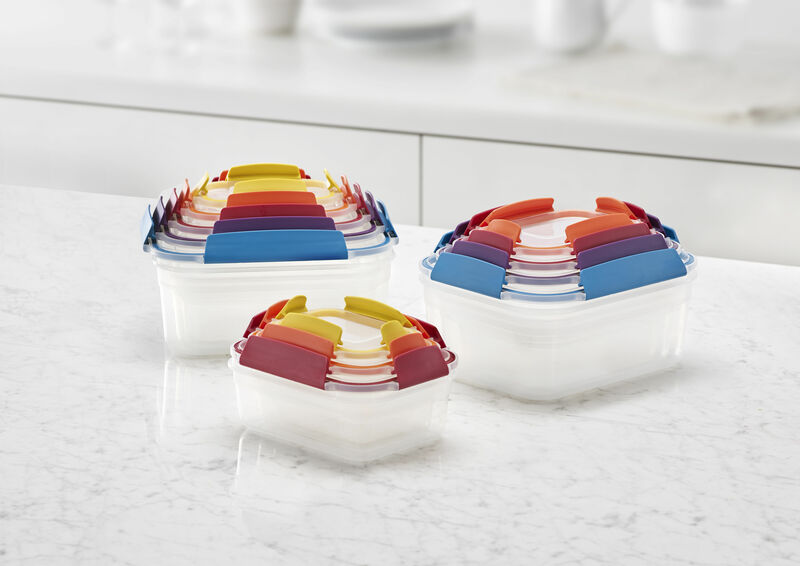 The lids are also stackable. 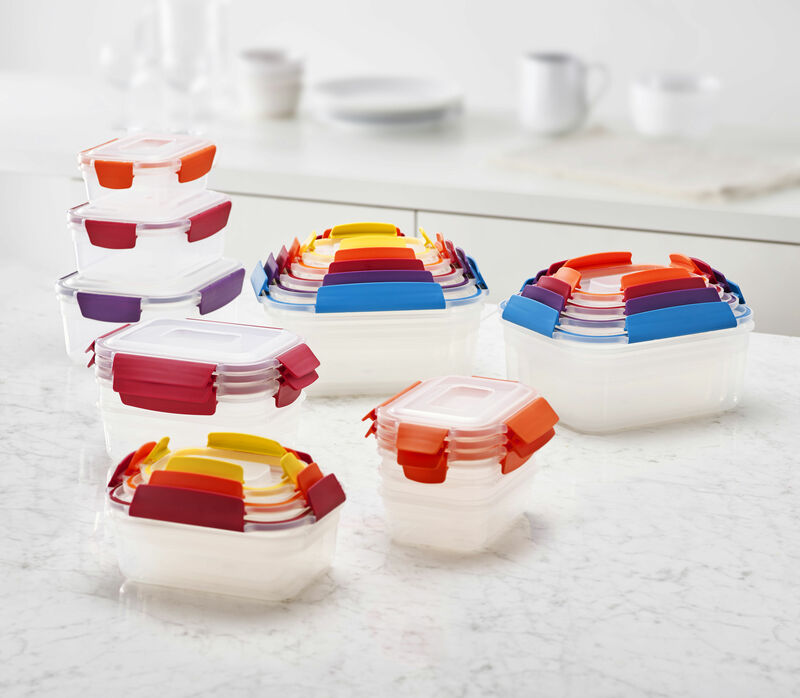 Thanks to the system of clips, the lids slot onto the boxes very easily and opening is easy. 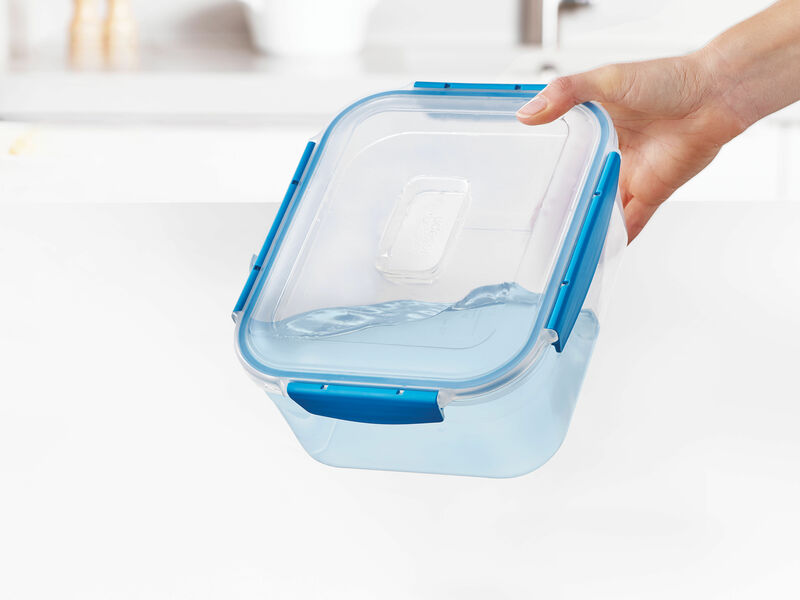 The perfectly airtight, leak-free seal avoids the contents spilling or leaking out. These boxes will be perfect for preserving, carrying and heating your food and leftover meals. 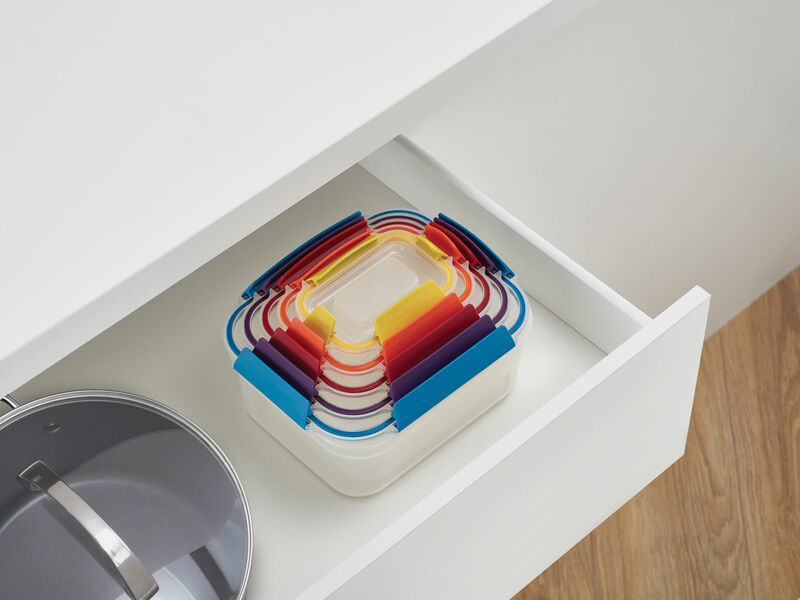 The bases are decorated with a coloured dot corresponding to the colour of the lid: this colour code lets you find them easily. 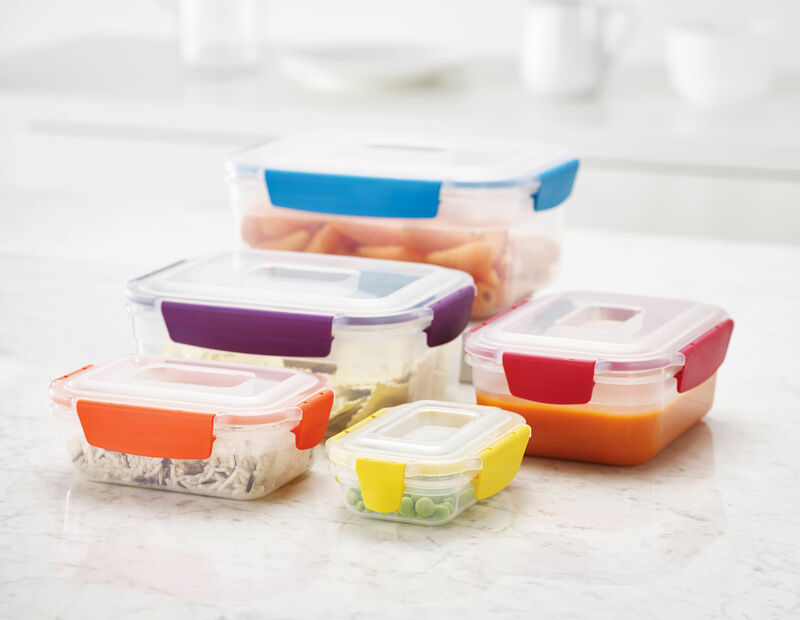 Made from plastic free from Bisphenol A (BPA), these boxes are suitable for the fridge, the freezer, the microwave and the dishwasher. What a great way to cook perfect little dishes and keep them fresh for longer. 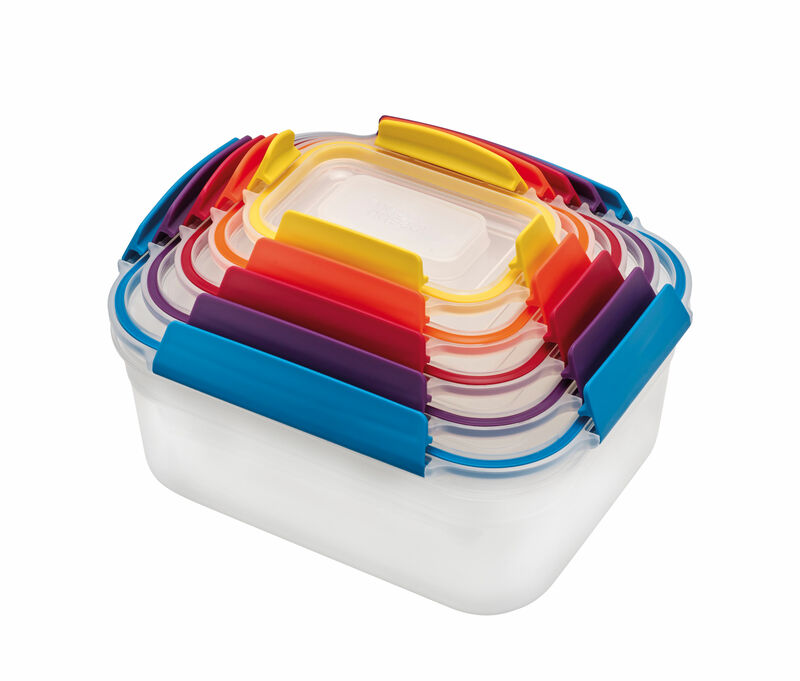 Perfect for keeping your food, these hermetic and air-tight boxes can be stored without taking up lots of space! 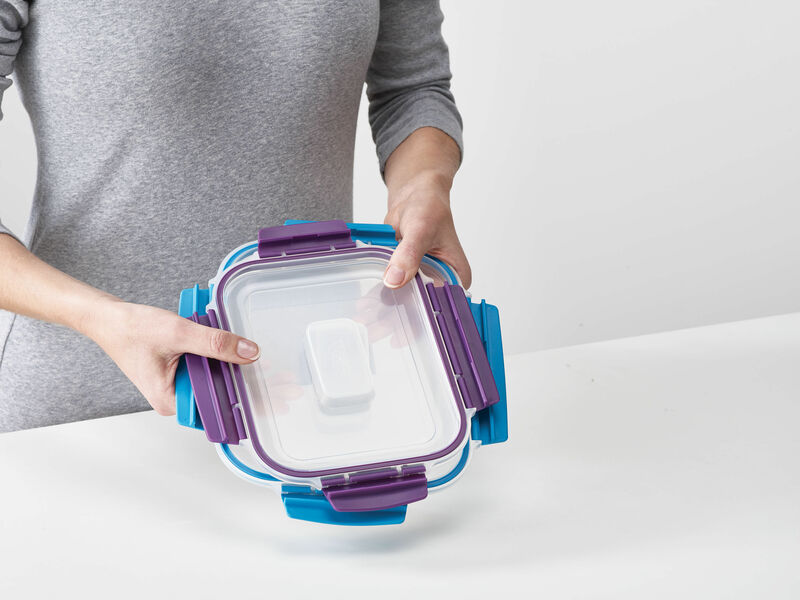 Before any use in the microwave, ensure you remove the lid and simply place it on top of the container, without locking it.